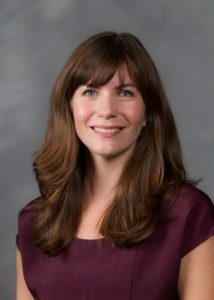 English literature professor Sarah Hogan’s new book, Other Englands: Utopia, Capital, and Empire in an Age of Transition, is now available from Stanford University Press. 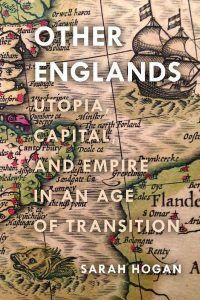 Other Englands examines the rise of the early English utopia in the context of emergent capitalism. Above all, it asserts that this literary genre was always already an expression of social crisis and economic transition, a context refracted in the origin stories and imagined geographies common to its early modern form. Beginning with the paradigmatic popular utopias of Thomas More and Francis Bacon but attentive to non-canonical examples from the margins of the tradition, the study charts a shifting and, by the time of the English Revolution, self-critical effort to think communities in dynamic socio-spatial forms. Arguing that early utopias have been widely misunderstood and maligned as static, finished polities, Sarah Hogan makes the case that utopian literature offered readers and writers a transformational and transitional social imaginary. She shows how a genre associated with imagining systemic alternatives both contested and contributed to the ideological construction of capitalist imperialism. In the early English utopia, she finds both a precursor to the Enlightenment discourse of political economy and another historical perspective on the beginnings and enduring conflicts of global capital.